Spending 3 days in Milan may seem not to be enough time to visit the city, but if you can tell you about how to move in Milan, 3 days in Milan can be enough to visit the main Milan attractions and to discover the history of the city. Below you will find some important information and tips on how to move to 3 days in Milan. If you arrive in Milan by plane, there are many ways to reach Milan city center from Milan airports. From Bergamo Airport and Malpensa Airport you can take the Airportbus of Autostradale which leads you to Milan Central Station. Thanks to MilanoCard, the Milan City Pass, you can get a 10% discount on the return ticket by purchasing it at the Autostradale Office. Click here for more information. 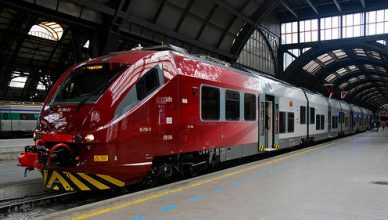 If you prefer the train to move from Malpensa airport to Milan, you can take the Malpensa Express. From 2016, Malpensa Express, as well as reaching Terminal 1, arrives to Terminal 2. With the MilanoCard + Malpensa Express promotion you can get 20% of the total and easily reach the stations in the center (Milan Central Station, Milan Cadorna Station and Milan Garibaldi Station). If you arrive at Linate airport, thanks to your Milan City Pass you can reach Piazza San Babila by bus X73. The bus stop is located in front of the airport airline exit (click here). Arrived in the center, reach Piazza Duomo and start your own discovery in Milan! Piazza Duomo is easily reached by the red Milan metro or the yellow Milan metro getting off to Duomo stop. 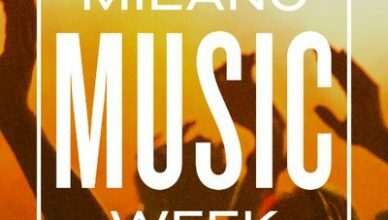 Thanks to the Milan City Pass, you can get free Milan public transport (click here). Near Piazza Duomo, in Via Silvio Pellico 2, discover the terraces above Galleria Vittorio Emanuele. The entrance arc on Piazza Duomo was thought to be a triumphal arc. At the intersection of the arms of the Gallery there is the space overlaid by the dome, called the “Ottagono” (octagon). From the rooftops of the Highline Galleria, the path above Galleria Vittorio Emanuele, you can admire the dome from above and the new skyline of Milan. Find out here how to get free access to Highline Galleria! Going to Piazza Pio XI, a few steps away from Highline Galleria and Piazza Duomo, you will be able to admire the masterpieces in the Pinacoteca Ambrosiana. It was founded in 1618 by Federico Borromeo near the Ambrosiana Library, which was set up in 1609. In the Ambrosiana Pinacoteca there are works by several masters, including: Leonardo da Vinci, Botticelli, Bramantino, Bergognone, Bernardino Luini, Titian, Caravaggio and Hayez. Thanks to MilanCard, your Milan City Pass, you can visit the Pinacoteca Ambrosiana getting a discount on the ticket, click here and find out more. Right behind the Pinacoteca Ambrosiana, in Piazza San Sepolcro, you can find Crypt of San Sepolcro. In Roman times, Piazza San Sepolcro was the Roman Forum, a cross between the thistle and the decumanus. In 1030 the Church of Saint Sepulcher was founded, on two levels, with the name of Holy Trinity by Magister Monetae Benedict Rozone and built on the ground of his family. On July 15, 1100, archbishop Anselmo da Bovisio to celebrate the anniversary of the conquest of Jerusalem by the Crusaders, dedicates the church to the Holy Sepulcher of Jerusalem. The Crypt of San Sepolcro, placed under the Church of the same name, was reopened to the public after 50. Thanks to MilanoCard you can visit the Crypt for free, find here how! If Milan offers you a beautiful sunny day, take advantage of a nice cruise on Navigli. 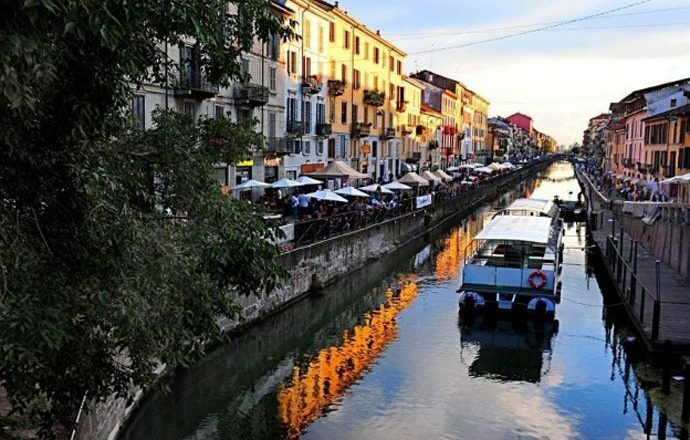 Autostradale Viaggi organizes a cruise on Navigli, a cultural historical route on the Navigli Milanesi which allows the visitor to dive into the ancient places strewn by the boats that supplied the city of goods. The departure is in Alzaia Naviglio Grande 4, just after a few meters you can admire the Ledge of Lavandai, one of the wash fountain where women wash their clothes. 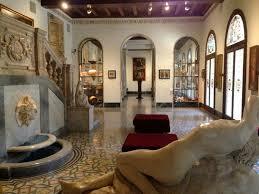 Going ahead, pass through Palazzo Galloni, home of the engraving center. A little further on you will be able to admire the church of St. Christopher, a masterpiece of the 14th century. Thanks to your Milan City Pass you can get a reduction for the cruise on Navigli, find out how. On Navigli, in via Bergognone, you can discover the museum dedicated to the collections of the great designer Giorgio Armani, Armani Silos Museum. Thanks to MilanoCard you can receive a 30% discount on the entrance ticket, click here. Get to Navigli and Armani Silos museum, take the green Milan metro and get off at Porta Genova, thanks to MilanoCard you can travel free of charge to Milan public transport (click here and find out how). 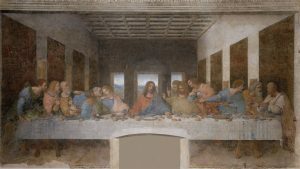 During your trip Milan, you can not miss the masterpiece of one of the Milanese masters of the fifteenth and sixteenth centuries, Last Supper of Leonardo da Vinci. With the LookMI City Tour of Autostradale Viaggi, you can visit the Milan symbols, including Duomo of Milan, the Scala Theater and the Last Supper of Leonardo da Vinci. The tour starts at 9.00am from Milan Central Station and at 9.30am from Piazza Duomo with included visit to the cathedral and a few steps from the square, visit the Scala theater, also included. After the visit, leave with the bus and go via Manzoni, Porta Venezia, Porta Nuova, pass in front of the Monumental Cemetery and the Sforza Castle until you reach the Church of Santa Maria delle Grazie and the Cenacolo where you can visit the ” Last Supper” by Leonardo da Vinci. At the end of the visit you will return to Piazza Duomo. Thanks to MilanoCard you can get a discount on cruise of Navigli, click here! From Piazza Duomo, taking the yellow metro to the Cadorna stop and then the green metro and going down to the Sant’Ambrogio stop, you can reach the National Museum of Science and Technology “Leonardo da Vinci” in Milan. The museum, opened in 1953, houses the world’s largest collection of machine models taken from Leonardo da Vinci’s projects. The collection tells the story of science, technology and Italian industry from the nineteenth century to the present. Thanks to MilanoCard, Milan City Pass, you can get a reduction on your ticket, click here and find out how. Are you a football lover? Discover the San Siro Museum and the AC Milan Museum!